If Republican president-elect Donald Trump makes good on his pledge to dismantle the Affordable Care Act, it will be a “disaster” for Vermont, Democratic Gov. Peter Shumlin said Tuesday. In 2010, 8.6 percent of Vermonters lacked health insurance. Last year, the number had dropped to 2.7 percent, the governor said. Vermont has the second lowest rate of uninsured people in the country overall, according to his office. Vermonters who receive subsidies for their health coverage get a median of $300 per person per month, said Sean Sheehan, director of outreach and education at the Department of Vermont Health Access. 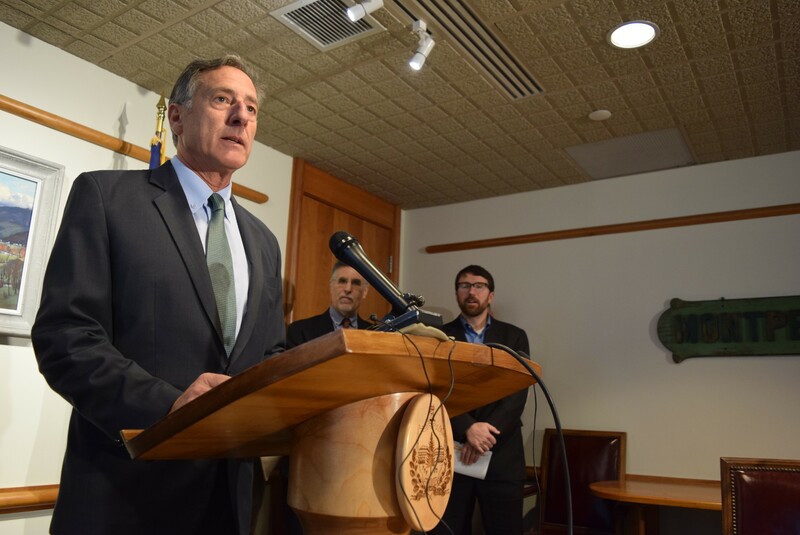 If Trump eliminates the health insurance programs enacted under President Barack Obama, as he has said he will, Vermonters would lose at least $100 million a year in subsidies, Shumlin said. Meanwhile, Shumlin and his staff declared that the much beleaguered Vermont Health Connect insurance exchange is finally a success, more than three years after it was launched. Technological problems that plagued the state’s ability to forward accurate information to insurance companies have been virtually eliminated, he said. When consumers file an update to their circumstances, 95 percent of those changes go through on time, as opposed to 54 percent a year ago, Shumlin said. Exactly what the president-elect plans to do on health care is unclear. After campaigning on a pledge to dismantle Obamacare, Trump has since said some portions, including requiring insurers to cover preexisting conditions, are good. Shumlin, who supported Democrat Hillary Clinton for president, said he doesn’t see signs of hope from Trump, given his staffing choices. Shumlin, who did not seek reelection, leaves office in January. If he were staying, he said, he’d turn to other governors around the country for allies in fighting to retain as much of the ACA as he could. Shumlin was more confident about the prospects for the all-payer waiver that Vermont recently negotiated with the federal government. Trump and national Republicans have not overtly targeted that type of agreement, which would change the way health care professionals are paid for care, he noted. Tuesday morning, Darcie Johnston, a Trump supporter who has fought Obamacare as the founder of Vermonters for Health Care Freedom, watched as Shumlin spoke. Afterward, she accused Shumlin of fear-mongering by asserting that thousands of Vermonters could lose their health coverage. Last we heard, Darcie Johnston was in D.C. prepping for president-elect Donald Trump’s inauguration. Trump’s Vermont campaign manager hoped to land a full-time job with the new administration.